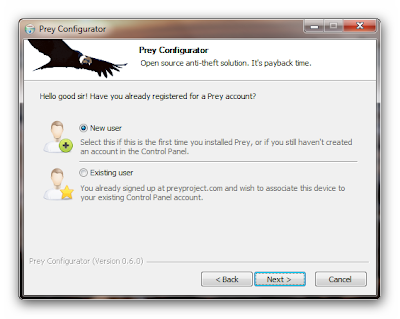 In this article, I would like to introduce an awesome Free Open Source Software called Prey. Are you studying in university or college, are you an employee in IT industry, are you a regular mobile or laptop user, do you have fear of loosing your mobile devices, then this article is specially for you. I am not explaining how to recover lost laptop but I can say how to protect before being theft and recover in case if lost. 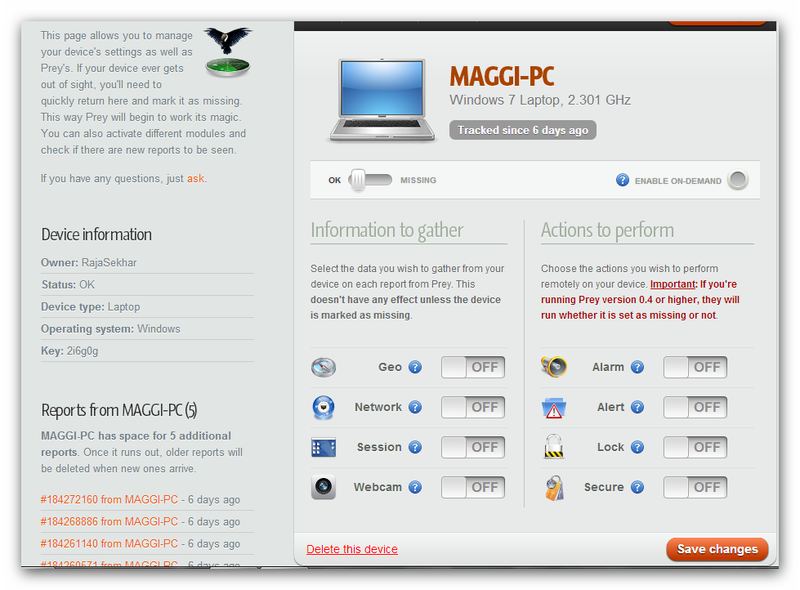 I fully tested this software in windows 7 operating system and Linux (Ubuntu). But it works in all most all generally used operating systems like Windows, Linux, Android, Ios, Mac and any mobile or portable device. It has many interesting features that you really feel awesome. We can easily recover the laptop if you lost. So let us see how to do this process. You can also see the recovery stories from various countries, I really amazed and tried with various features and options to recover if you pre installed that software in your system. 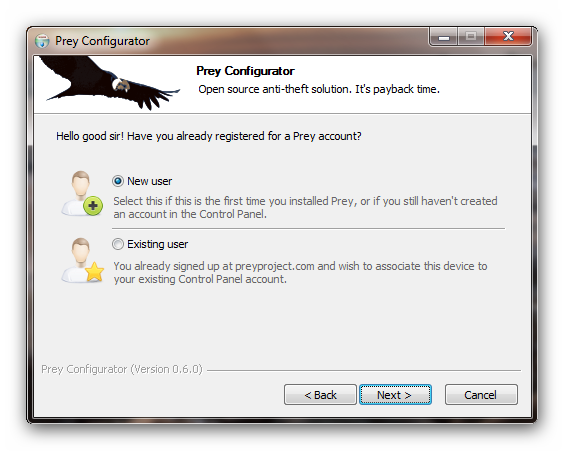 Step 1: Download the Prey Project Software from this main website. 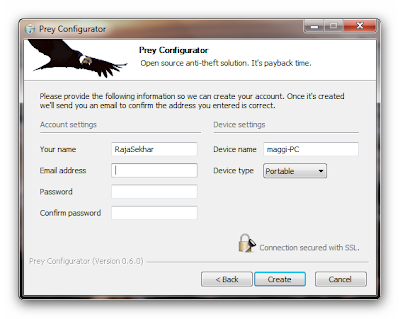 Step 2: After Download do the configuration as a new user if it is new to you. Step 3: Register your details with correct values. Do not fake, you will suffer later. Step 4: After successful registration, you would receive an Email with panel address. Step 5: That's It. You are now ready and amazingly all your computer or mobile device details like Hardware and Software are available in that panel address. Step 6: Now see all the amazing features it has in the online user interface. Your device status could automatically set OK if it is ready in your system. What to do after Theft ? 1. Go to Panel Log in web address from any other computer or friends laptop. 2. Enter your username and password and log in. Geo - Shows where exactly your laptop/Mobile is. Webcam - It automatically captures the images who sit in front of the laptop and show to you. Alarm - It will keep on rings the alarm. If you listen that sound, laptop is very nearer to you. Alert - Send any message (You can decide what to send) to the laptop Desktop. Network and Session Information also very imp during recovery process. If that laptop is not in your nearest place. Go for a police complaint with complete details of thieve with photo and geo location and with complete Report given by the PREY. The report consists of Current Location of Laptop or Mobile, Person's Photo who sit in front of it, Desktop screen what they are watching, What files they are using in your system, Network Provider to them and much more info. If you have more question go to FAQ section of the website.